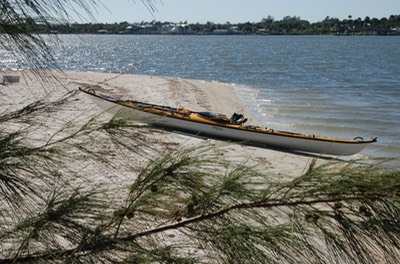 The Shell Island canoe and kayak launch in Rookery Bay at the end of Shell Island Road on Marco Island. A beautiful and serene place. Why self and assisted rescue training? The answer seems self evident. But here’s the background story. 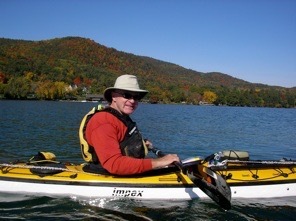 Rescue training and practice have been a part of my kayaking since I picked up a paddle some twenty years ago. However, there have been some large gaps in the practice. 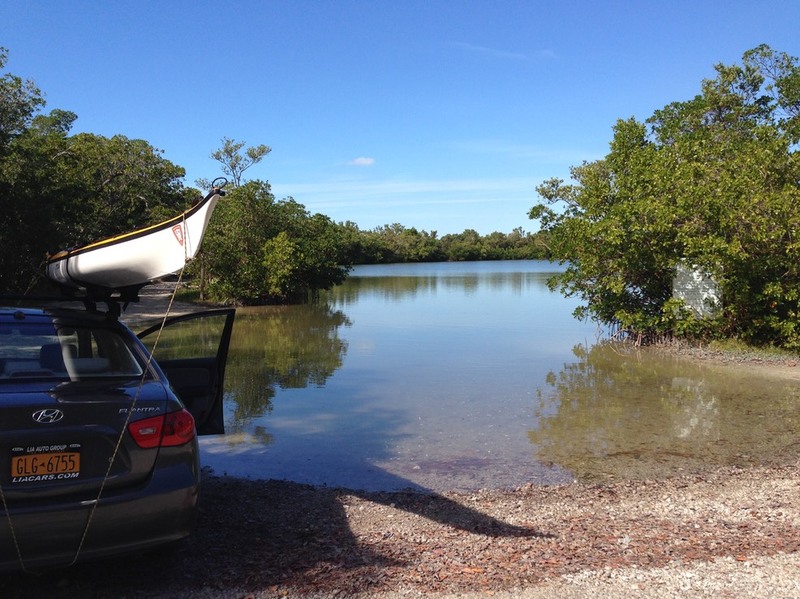 We visited Naples Kayak in Naples, Florida and talked to Tom, arranging an on and in the water training session for the following Thursday morning. 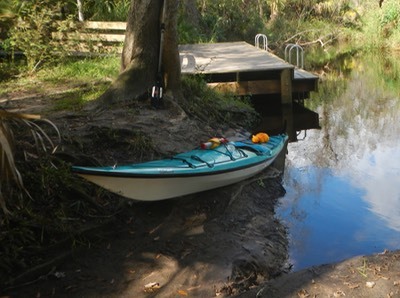 We met at the Rookery Bay Shell Island canoe and kayak launch at 8:30 am. After some pleasantries we were on the water. Tom spent the first couple of hours evaluating our strokes and giving suggestions for improvement. Then it was time to capsize and practice those re-entries. Bruce, almost back in his boat. Tom got into the water first. It was chest deep. Then it was my turn. I had Tom roll me over. Upside down underwater, I popped my spray deck and tried to get out of the boat. To my alarm, my feet seemed to be stuck. They were holding me halfway in the boat. Thankfully, Tom was there to assist. He freed my feet and discovered that the Crazy Creek Chair I had velcroed to the inside bottom of my boat at the end nearest my seat had snagged my heels when the front unfastened edge lifted because of its bouyancy. I had recommended this way of carrying a chair in an earlier posting and video (click here for that report). I now know it could be a death trap. DON’T DO IT! Once freed, I ripped the Crazy Creek out of the boat and stowed it on deck, then proceeded with the recovery practice. There are no photos or videos of my struggles with the Heel Hook re-entry because I had the camera. Bruce wasn’t so lucky. Here’s a short video. The technique we used is called the Heel Hook Re-entry. I especially like this technique in assisted rescues. This was the first time I had tried it in a self-rescue. Without describing every step, lets just say, I wasn’t a picture of strength and grace. I only got to practice this once and would have liked more, but time was a factor. For me, an important part of the experience was capsizing in salt water and feeling comfortable there. I have some ACA in-shore guides training coming up where I’ll be expected to do more of this. I was glad to have had this experience before that training. This video shows the assisted heel-hook rescue that is similar to the self rescue heel-hook technique. These folks are “professionals” who make it look easy. When you’re done watching and the ice is off your lake or river, go out with a friend and practice. It just might save your life sometime.